Want to Win a Game 6 DVD? Just those words alone brings back so many memories for us as Cardinals fans — no need for year or Game 6 of what. We just know. It’s no surprise that Game 6 is part of the Baseball’s Greatest Games series produced by A&E Home Entertainment. It was instantly a classic — the Cardinals down to their final strike in the 9th before David Freese’s triple, down to their final strike in the 10th before Lance Berkman’s single, then “we will see you tomorrow night!” in the 11th. And now five of you will win your very own copy of the DVD/BluRay combo of Game 6 courtesy of A&E so you can relive that incredible game anytime — all as a way to celebrate even more fantastic World Series moments from 1947 on and other classic MLB features that are now available on iTunes. 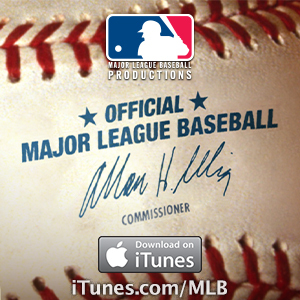 More than 100 MLB titles are now live on iTunes, which already includes hundreds of classic games as well as podcasts and award-winning mobile apps from MLB Advanced Media such as MLB.com At Bat.